The UK Parliament has rejected the government’s draft withdrawal agreement. Join HSBC’s UK Economist Mark Berrisford-Smith as he explores what could happen next and what it all means for companies who do business with, or have subsidiaries in, the UK. Recorded on Thursday 17th January 2019. 'While much uncertainty remains, the potential transition period is widely seen as good news by businesses' according to HSBC's top trade finance team who were brought together to discuss what a Brexit transition period could look like for businesses in different sectors and what businesses should be thinking about now – especially around their supply chain. Potentially forthcoming Brexit changes have triggered open and wide-ranging discussions between businesses and banks. In this short video, HSBC's expert panel discusses why planning is crucial among corporate clients seeking post-Brexit opportunities and what questions businesses should be asking now. The EU single market was created around four principal freedoms: the free movement of goods, services, capital and people across borders. With the advent of Brexit, all that is set to change for the UK. What's on the horizon for the UK economy? There is a range of possible outcomes, but they can broadly fall into 3 scenarios. 1. 'Creative Brexit' refers to the potential outcome of a negotiated settlement between a 'Hard' and a 'Soft' Brexit, but different in nature to existing agreements between the EU and non-EU states." HSBC has key treasury centres in HSBC France, HSBC Germany, Ireland and Netherlands. Throughout Brexit, we'll keep your focus on the next move forward. Through evolving times for Europe, Clients can rely on HSBC for continuity, stability and support for your business. 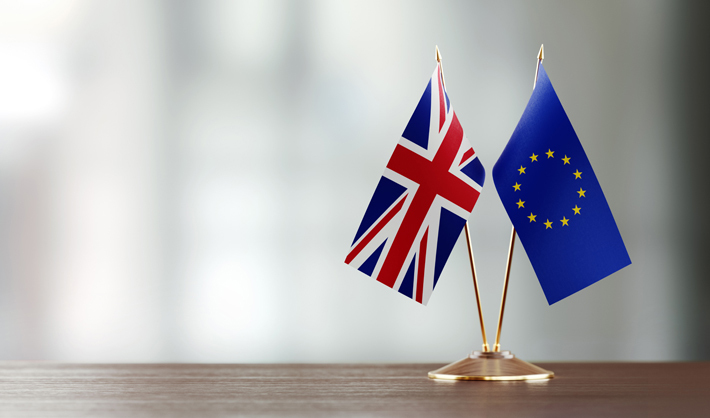 Whatever Brexit scenario unfolds, our well-established UK and European Economic Area (EEA) network will mean the minimum of disruption for businesses.